Our local distributor for Heritage Water Tanks in Kadina, employs a network of installers throughout the state that will ensure that your domestic, commercial water tank or fire tank is installed with professionalism. Kadina is a town located on the Yorke Peninsula of South Australia, approximately 144 kilometres north-northwest of the state capital of Adelaide. The largest town of the Peninsula, Kadina is one of the three Copper Triangle towns famous for their shared copper mining history. The three towns are known as “Little Cornwall” for the significant number of immigrants from Cornwall that worked at the mines in the late 19th century. 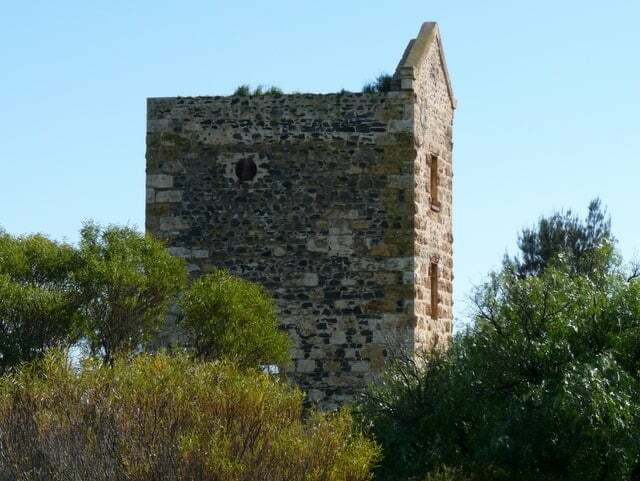 It is about 20 kilometres north-east of Moonta and 8 kilometres east of the port town of Wallaroo. There are 6 suburbs making up Kadina’s township, each being a distinct historic locality or hamlet. These are: Jericho, Jerusalem, Matta Flat, New Town and Wallaroo Mines as well as central Kadina itself. Kadina exists in a semi-arid location, above Goyder’s Line, and is surrounded by mallee scrub. Kadina has a dry Mediterranean climate with seasonal temperatures a few degrees above Adelaide’s temperatures. Kadina’s surrounds are used for growing barley, wheat and other crops such as legumes, canola, chickpeas and field peas. Barley and wheat from the region is considered to be some of the best in the world. Despite the diversity of crops farmed in the region, the average rainfall of Kadina is a mere 388.8 millimetres. As water has never been a freely available commodity in this region, the community needs to have a strong focus on harvesting and storing high-quality water, in order to meet demand in the future for rural, household and commercial supply. We operate throughout SA including Paskeville, Thrington, Boors Plain, Cunliffe, Jericho, Jerusalem, Kadina, Matta Flat, New Town, Thomas Plain, Wallaroo Mines, Willamulka, Alford, Tickera, North Beach, Wallaroo, Wallaroo Plain, Warburto, Cross Roads, East Moonta, Hamley, Kooroona, Moonta, Moonta Bay, Moonta Mines, Nalyappa, North Moonta, North Yelta, Paramatta, Port Hughes, Yelta and surrounding areas.